Parabens. You see so many brands bragging about their products being formulated without them but what’s the big deal? We at Skin Care Watchdog are here to give you the real deal on this harmful chemical so take this time to eliminate everything you’ve ever heard about parabens. So what exactly is a paraben? A paraben is a preservative used in products to prolong shelf life and fight the growth of bacteria. For some the number one concern when making a product is money and in order to keep client brand loyal your product must have stamina (unless you love organics)! Parabens are a very inexpensive preservative which is why it is so widely used. In order to effectively perform only .01-.03% of this chemical has to be used which is another great way to save money. Parabens have been around since the 1930’s and have been effective enough to be used in product formulas for over 80 years. They haven’t been on the industry’s radar since only a few years ago when consumers became more cautious about what they put on their bodies. In order for a product to last for a realistic amount of time it must have preservatives. Those who like natural/organic products have the luxury of having preservative free products but they may have to use it all in two weeks. Why are parabens so bad? So what’s the big deal? Are parabens going to make you melt like the wicked witch of the west? Not quite but they are pretty dangerous. Just like any ingredient some people found they are allergic to parabens although this isn’t a common allergy. Extended use of parabens can cause contact dermatitis which is an acquired allergic reaction. The biggest concern about the use of parabens is its ability to cause breast cancer. The function of a paraben has been closely compared to those of the hormone estrogen. Estrogen has been proven to be linked to breast cancer and can be found in tumor tissue. There have been studies that prove traces of parabens have been found in breast tissue and the type of paraben present are those applied topically. The fact that parabens cause cancer has not yet been backed with enough evidence to promote a widespread theory. 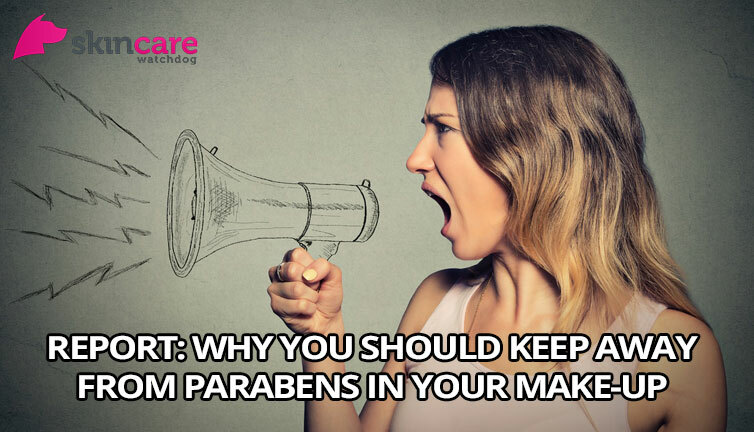 Scientist are still currently finding a way to link parabens and breast cancer and until paraben are proven safe most people will avoid them. Many anti-aging products happen to contain parabens. This is quite ironic because parabens are proven to age skin. Using parabens topically can make your skin sun sensitive over a period of time. You might know the sun is the number one cause of premature ageing. Ultraviolet rays pierce the skin damaging skin cells which can cause hyperpigmentation, fine lines, and wrinkles. How do I know if my product contains parabens? Some brand may list paraben-free on the front of their product for convenience but the ingredient label can also provide accurate information. As you may know, most ingredients have a plethora of aliases and some companies use them to trick you into thinking the ingredient isn’t present in their product. Some brands are taking advantage of the paraben free product craze and are labeling their products “paraben-free”. Just marking your products free from parabens does not mean the product is safe. Remember, paraben is a preservative and most products need to have preservatives to prevent spoilage. If your brand isn’t using parabens to preserve their products find out what they are using, it can potentially be more dangerous than a paraben. Going paraben free with your cosmetics doesn’t mean your body is free from parabens. Remember that the food and drug industries are also users of this harmful ingredient!